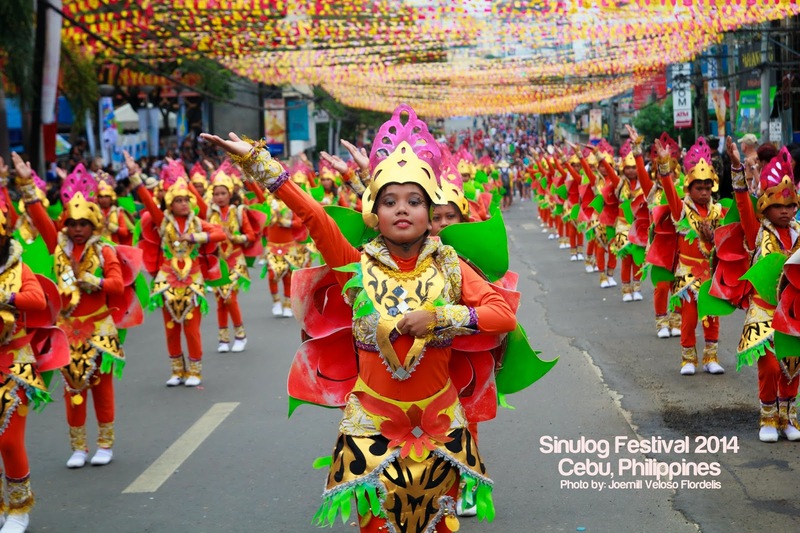 Navigating the colossal revelry springing into its own beat on the banderitas-smothered streets, I could invariably love everything about it without any complaint. 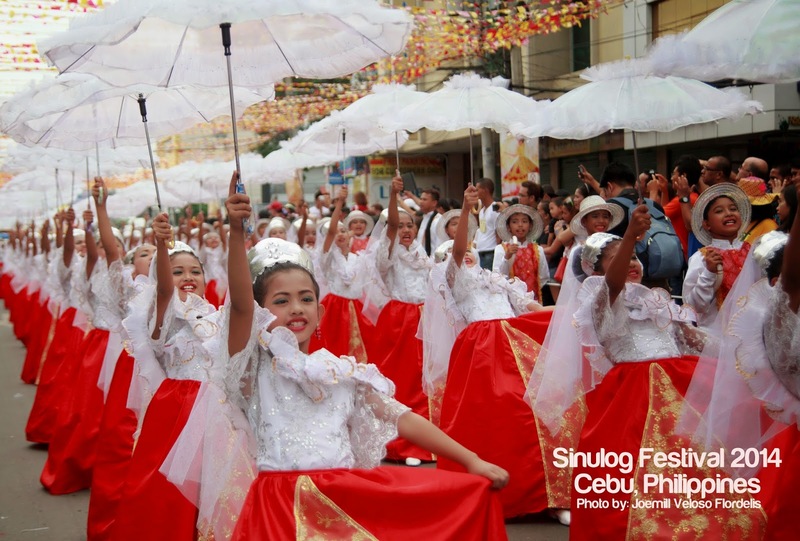 Despite the threatening overcast sky that haphazardly soon dropped buckets of rain, the difficulty of getting the best vantage point for somebody who wanted to be so-called photographer and thus sucked, the impossible thick human walls you couldn't penetrate and pass through, leaving you sort of impatiently stuck and nearly irate, the five-hour-long SRO, the growing heaps of rubbish everywhere and every minute, and the steaming air that unwittingly raised both eyebrows and cooked our balls, I had seriously nothing but a feeling of accomplishment and gratitude for being a part, yet again, of Sinulog. 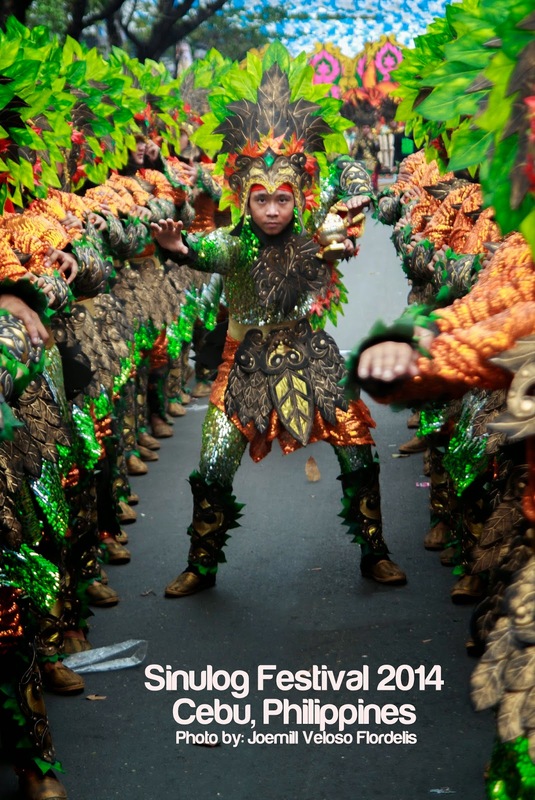 I mean, there were some inconveniences. 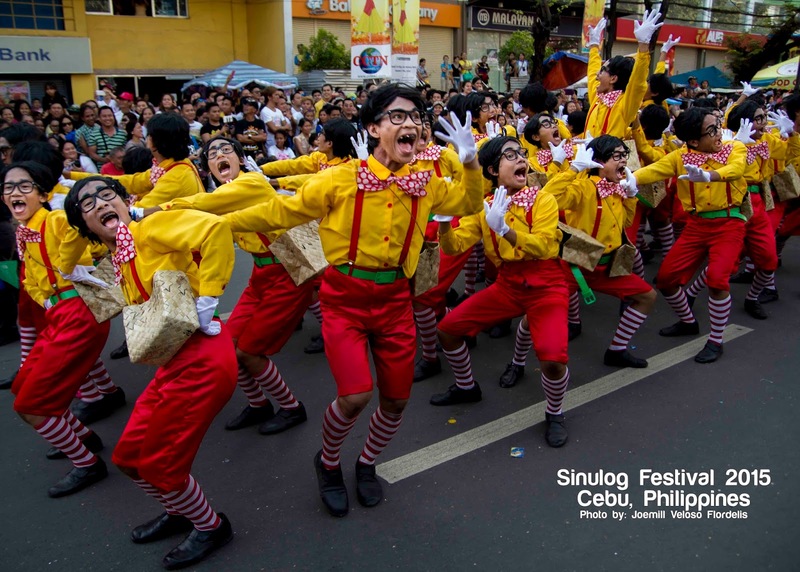 It was chaotic, of course, as it has always been. 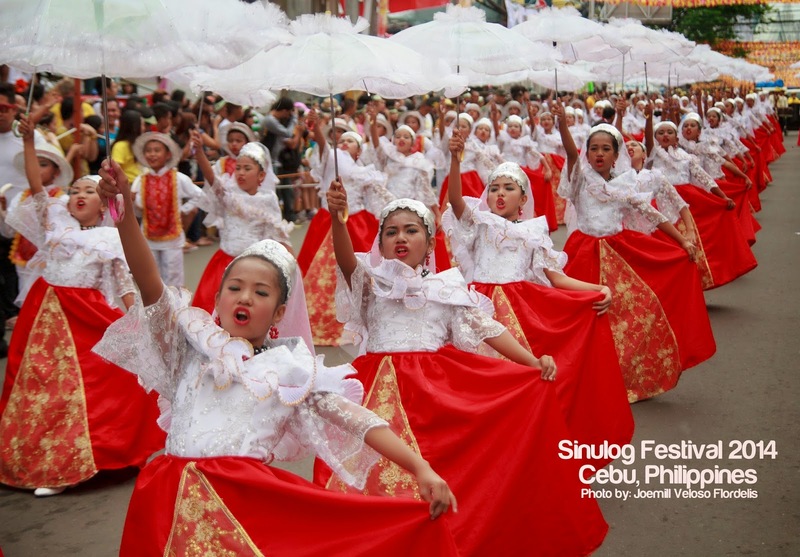 But when colors fly like a water wheel or a zoetrope, when the music starts its familiar insatiable rhythm, and when the singsong 'Pit Senor' drowns the crowd, all the world's inanities, caprices, and fatigues shelve themselves to shame. 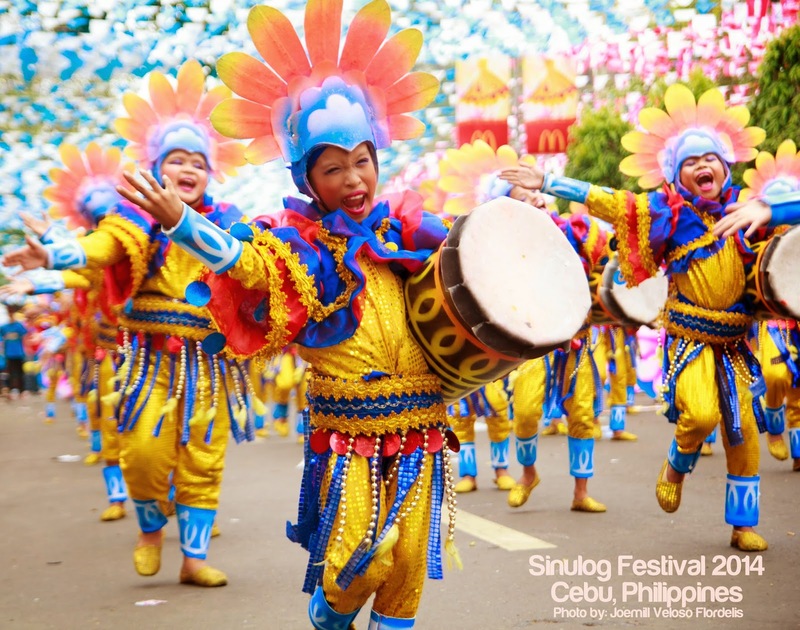 The simplest, yet most meaningful, word there is, is joy. 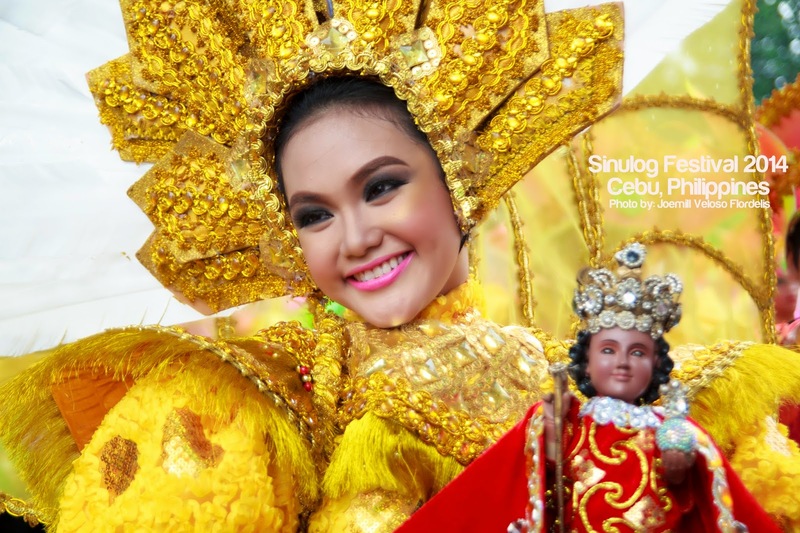 Sinulog is one of those few reminders for me to come to terms with my worsening faith and have it renewed. 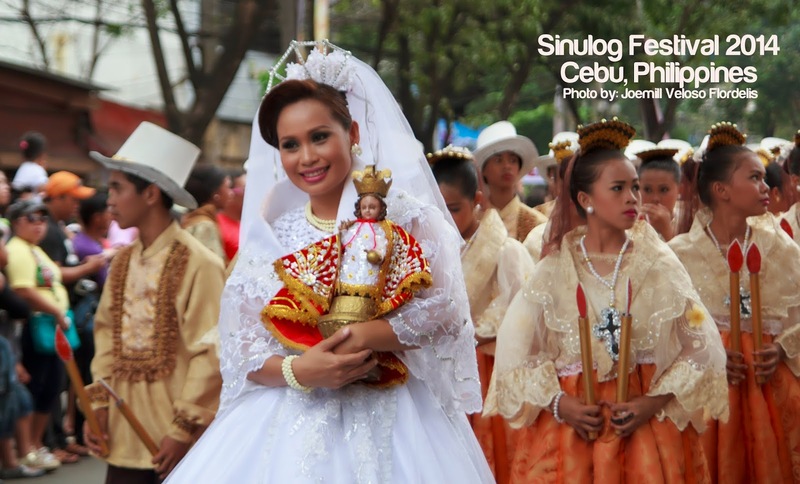 Thank you, Señor Santo Niño. 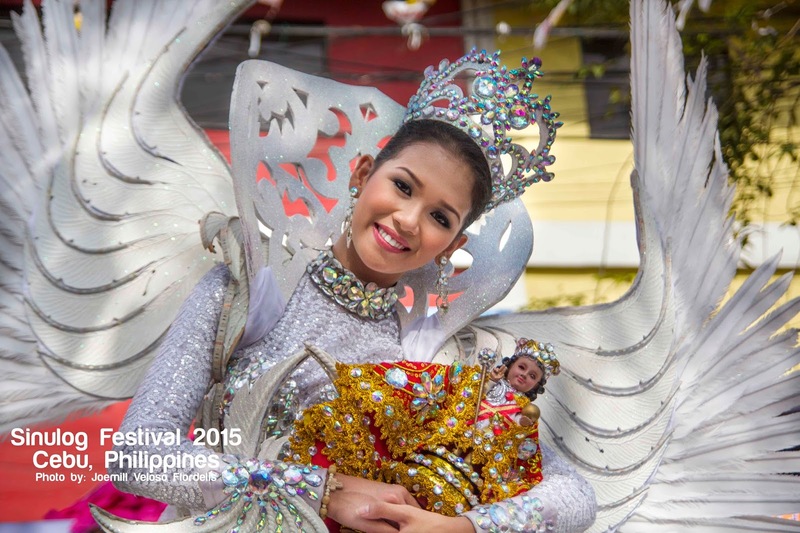 Stuffed with heavy breakfast of chicken adobo, pancit, escabeche, and rice at default, with a Lowepro bag strapped to my back and a Sinulog Festival ID hung from my neck for the very first time as a photo contest participant, I was in perpetual motion along Mango Avenue. 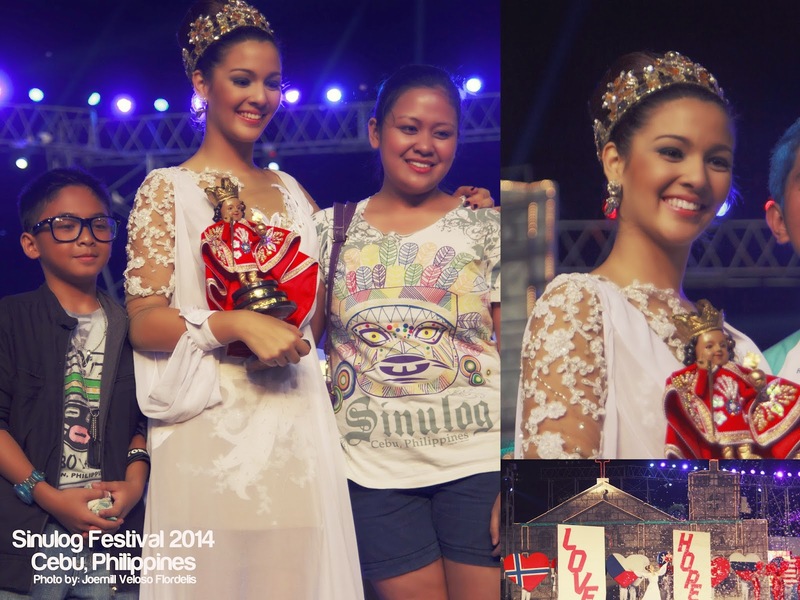 I couldn't settle for inertia, and so did the rest. 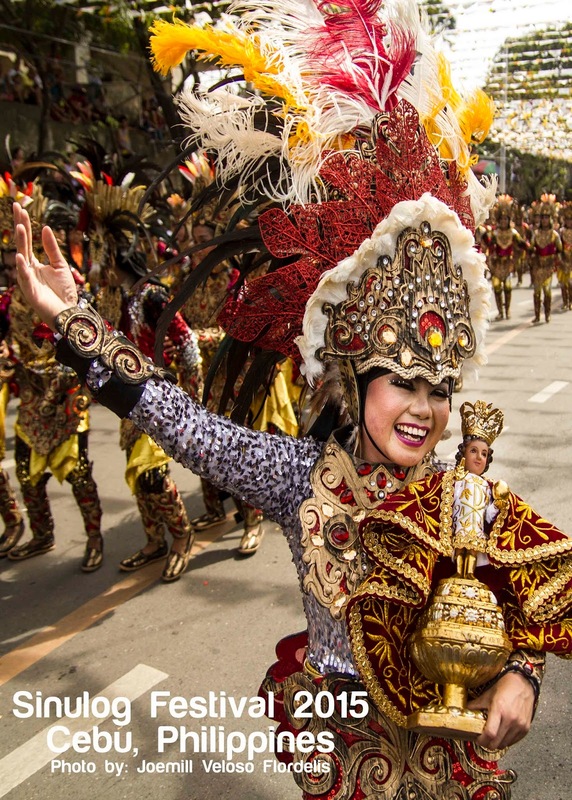 Hurried footsteps of onlookers, all headed to the roadsides and to skywalks, now shoulder to shoulder, and the mounting beats of drums and sounds of trumpets from the rope-barricaded Mardi Gras route already set the atmosphere in festive mood. 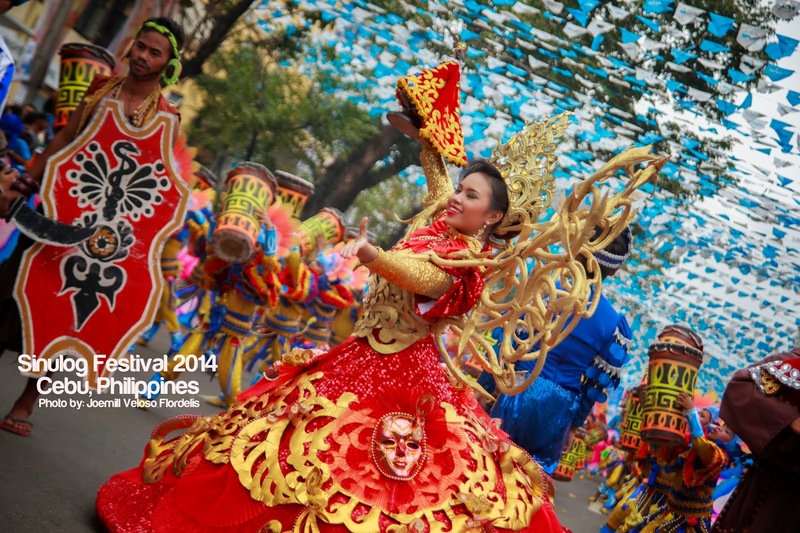 A euphoric mask was on everybody's face, with some having paint all over. 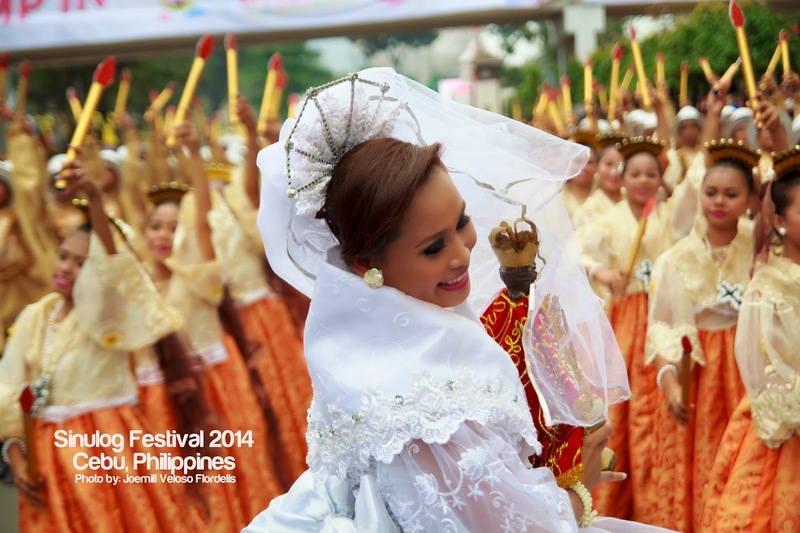 The fever had been switched on ever since earlier days on, pulsing our temples until it lasted. 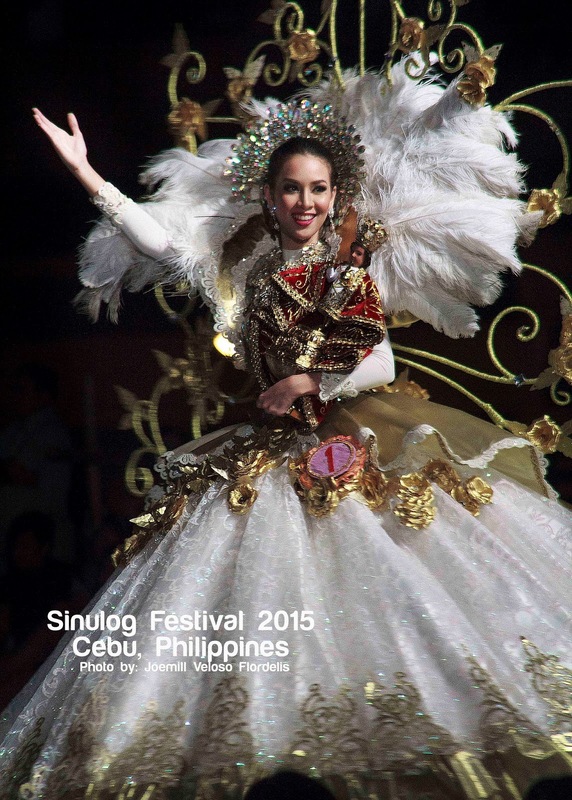 We screamed "Pit Señor!" 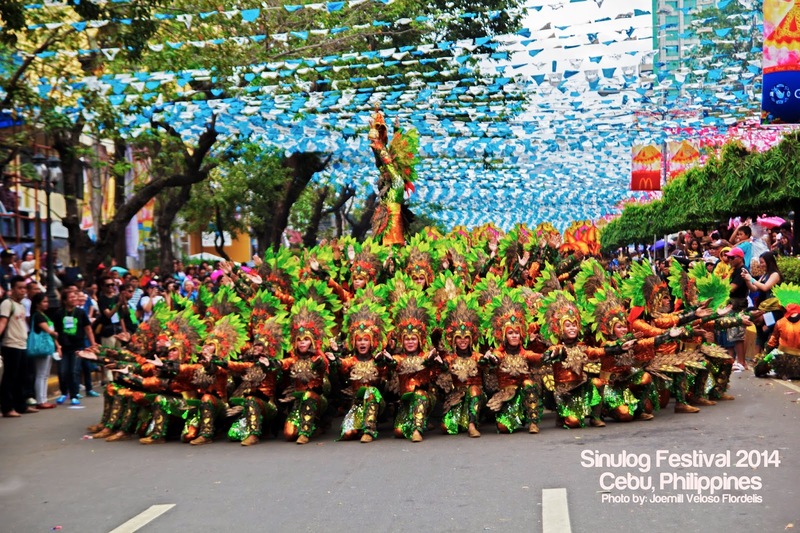 It was a cold morning, thirty minutes past eight, and I was mindful of maneuvering my camera, capturing, at high speed, more than 30 graceful and colorful contingents from all over the country perform their dances or rituals to the rhythm of Sinulog, in honor of the Santo Niño de Cebu (Holy Child of Cebu), plus the towering higantes and puppets, and decorated floats. 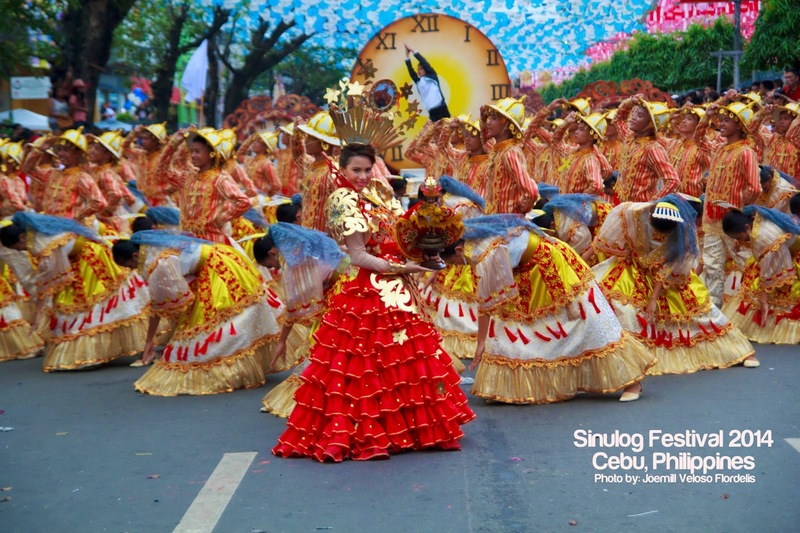 It had been drizzling from time to time - during lunchtime along Jones Avenue, late in the afternoon, and close to the end at around 7PM, but the spirits of performers, devotees, and those all-out-for-the-revelry alone never had dwindled, as they kept their adrenaline at the same heightened levels. 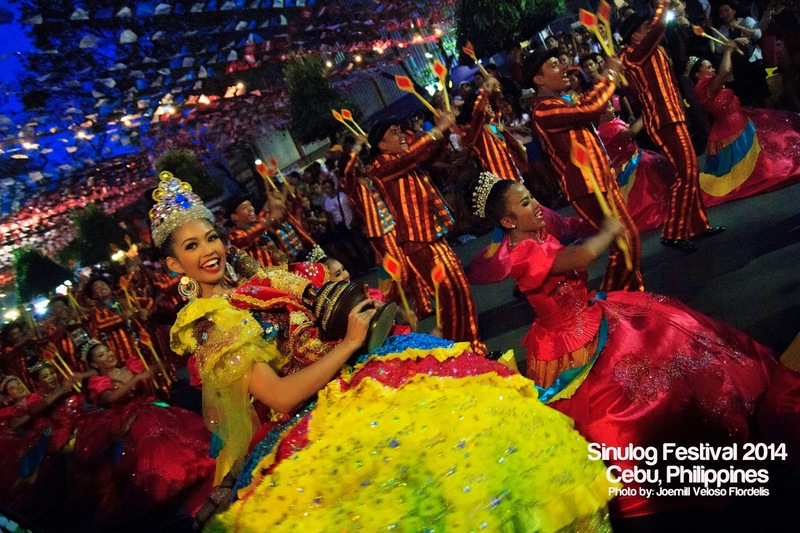 Some may have been fried and burned under the sweltering heat, sandwiched between the thickening crowd from left and right, but they didn't seem to mind at all. 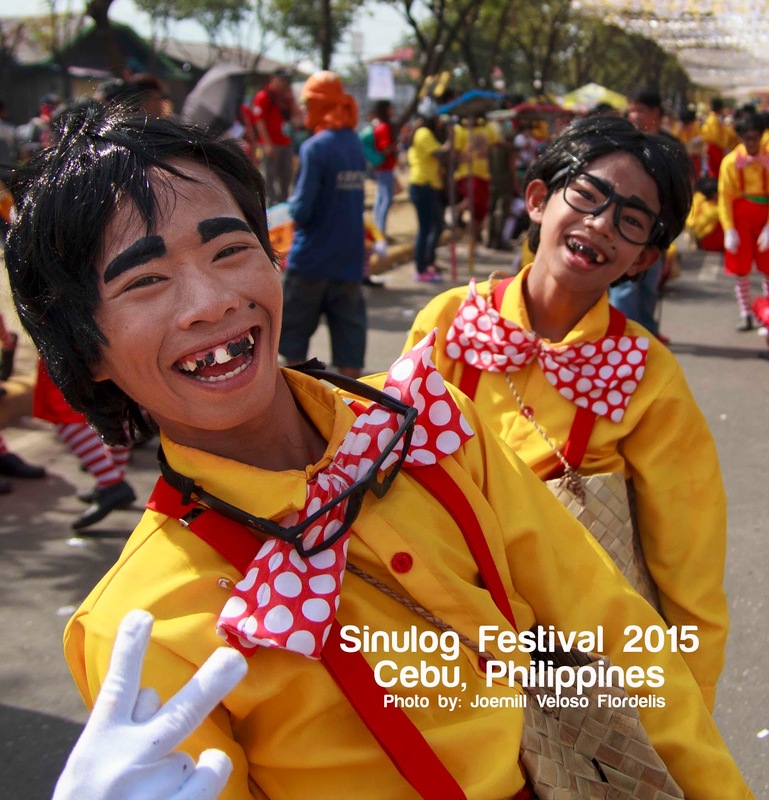 Selfies with the contingents were in vogue. 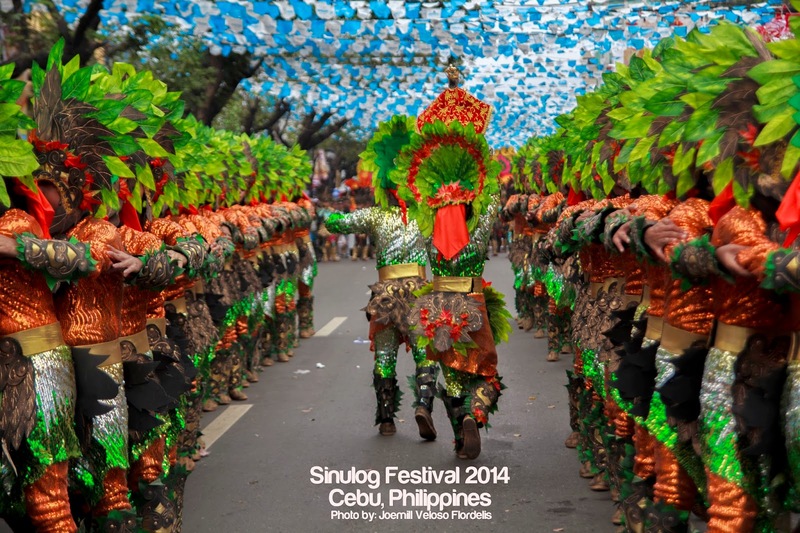 It was a beautiful chaos. 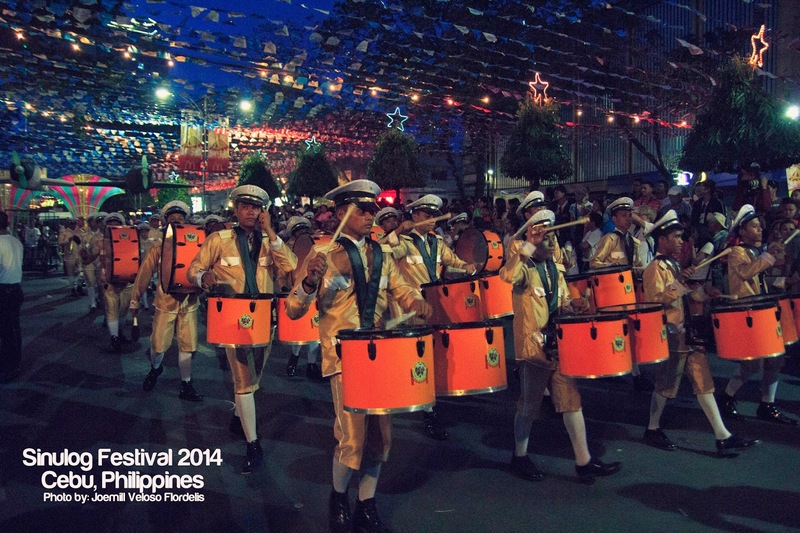 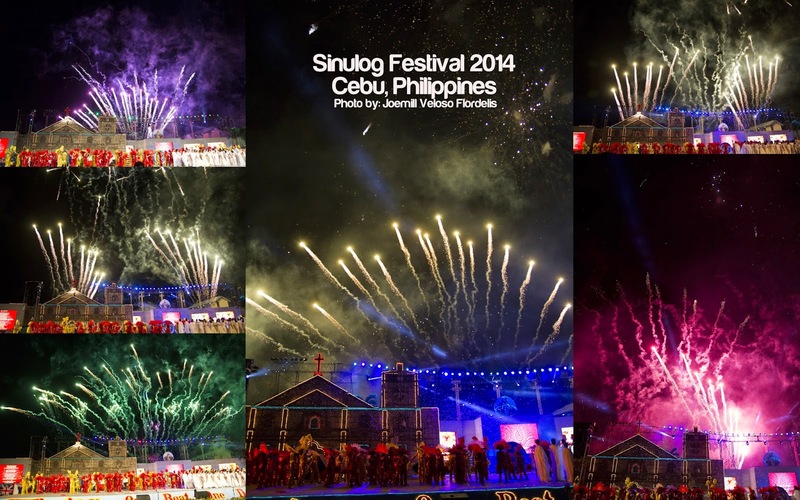 The festival culminated in a spectacular fireworks display at the Cebu City Sports Complex. 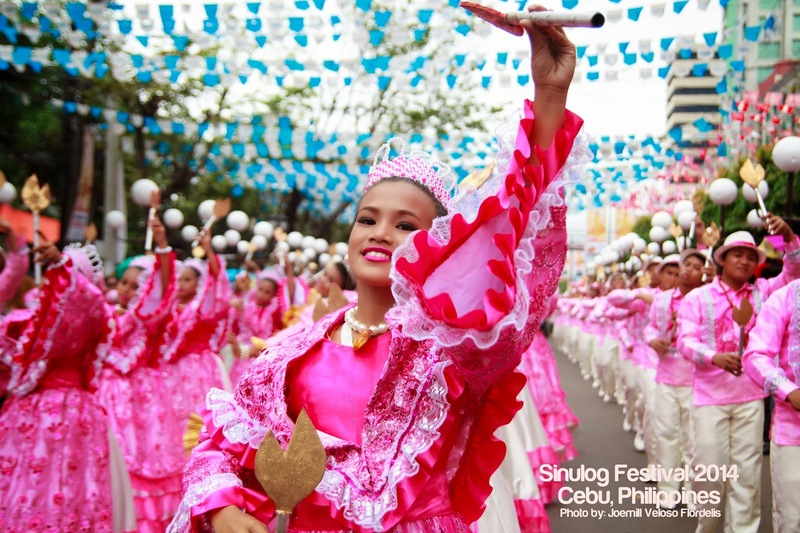 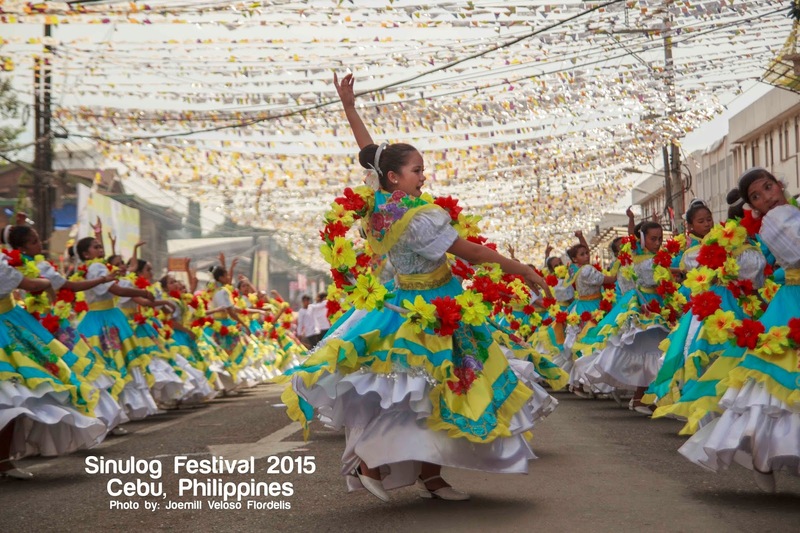 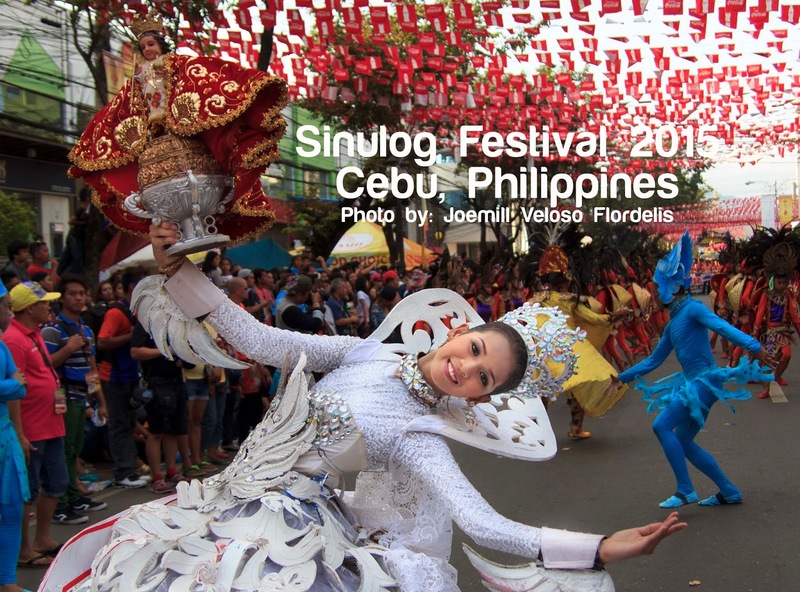 Despite failing to submit my photos, due to my hectic schedule as an OFW on vacation (I went to Boracay and Palawan two days after), the thought of experiencing Sinulog first-hand was more than enough for an amateur photographer like me. 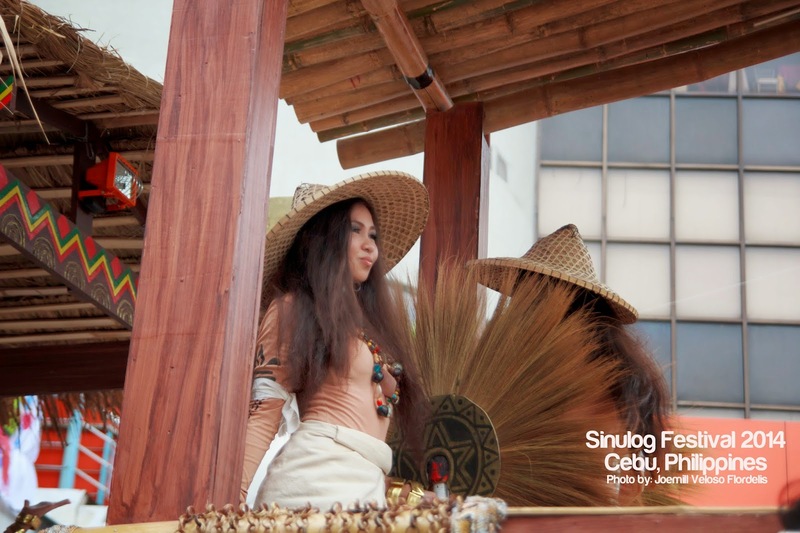 Wow, it was like having the best seat the whole day at the theatre! 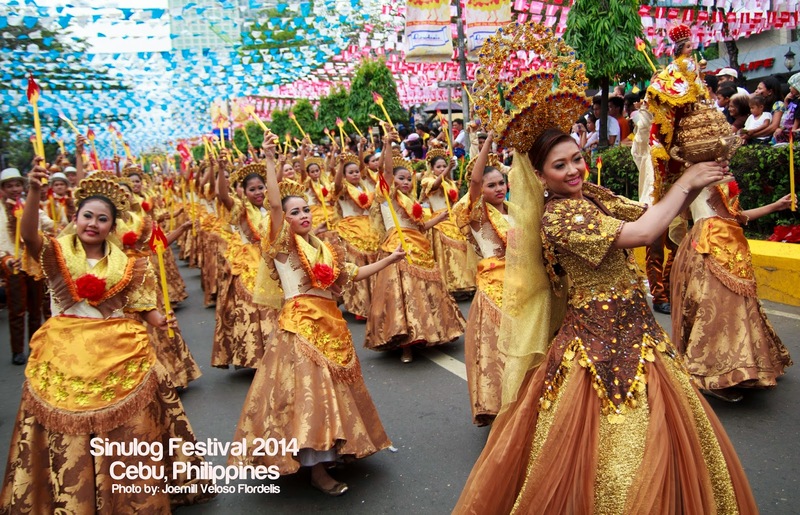 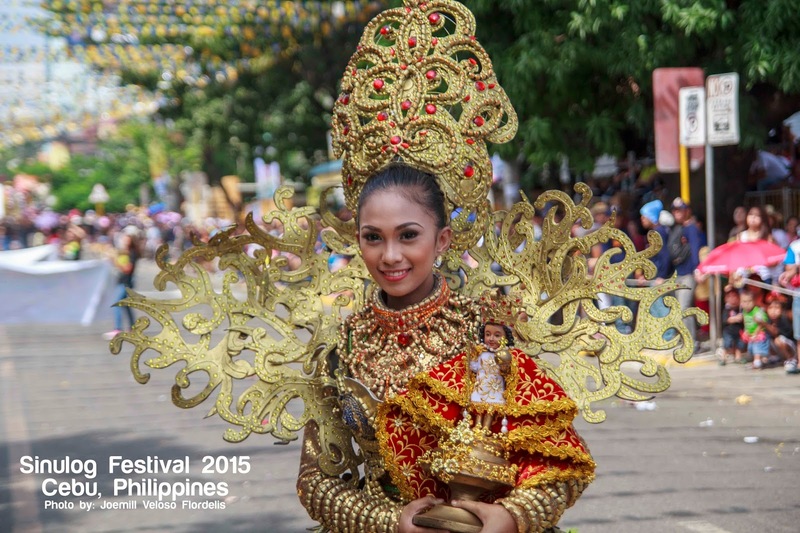 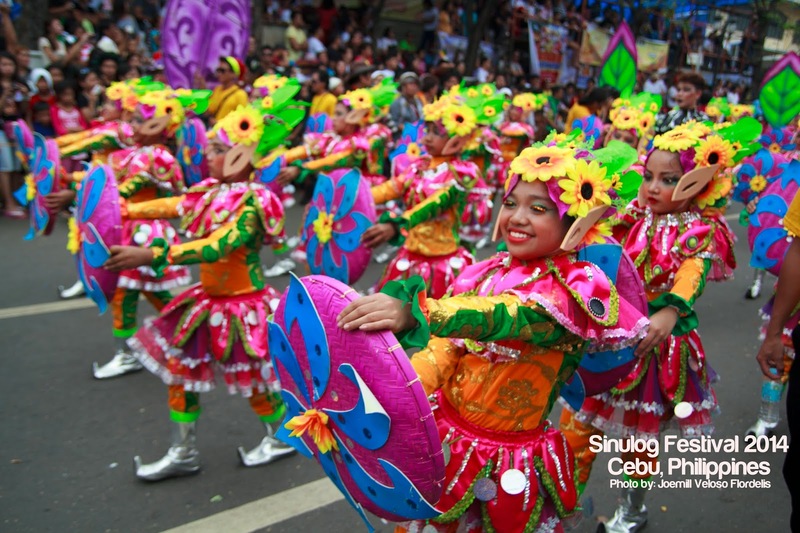 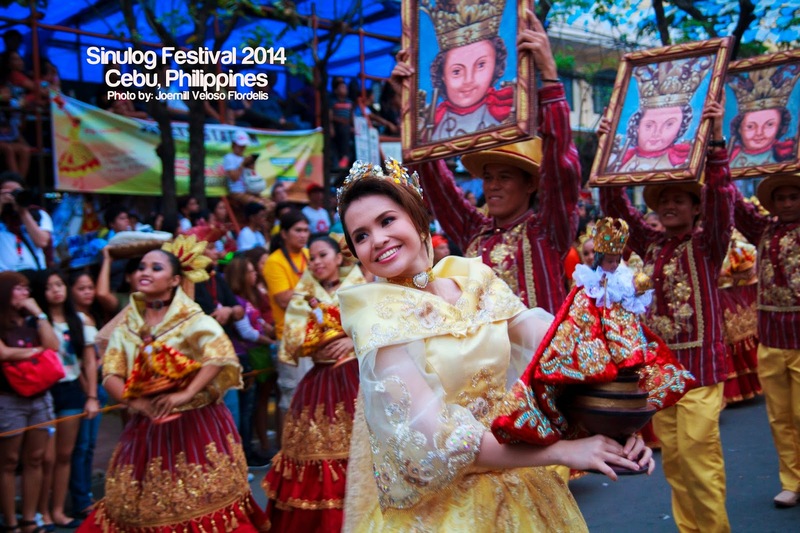 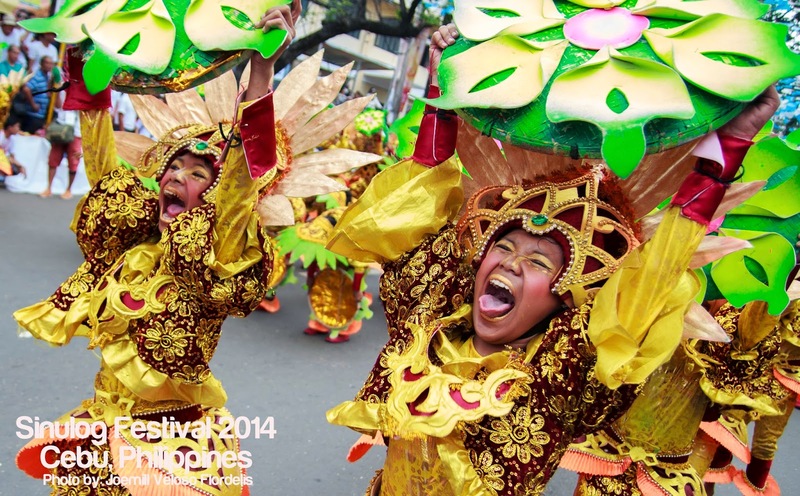 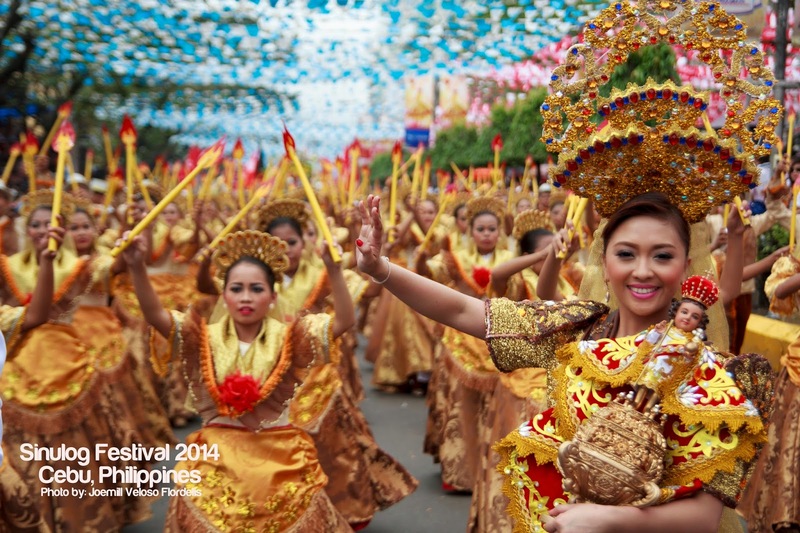 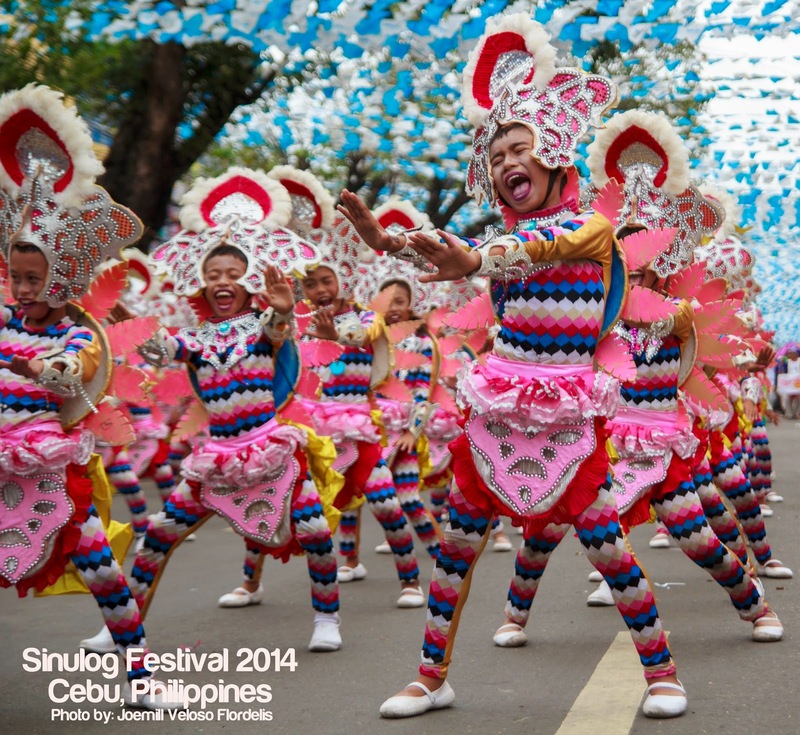 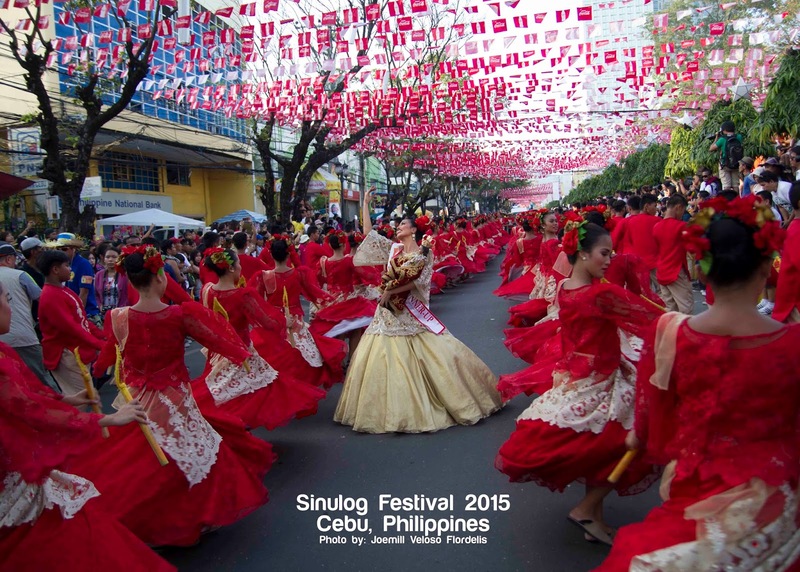 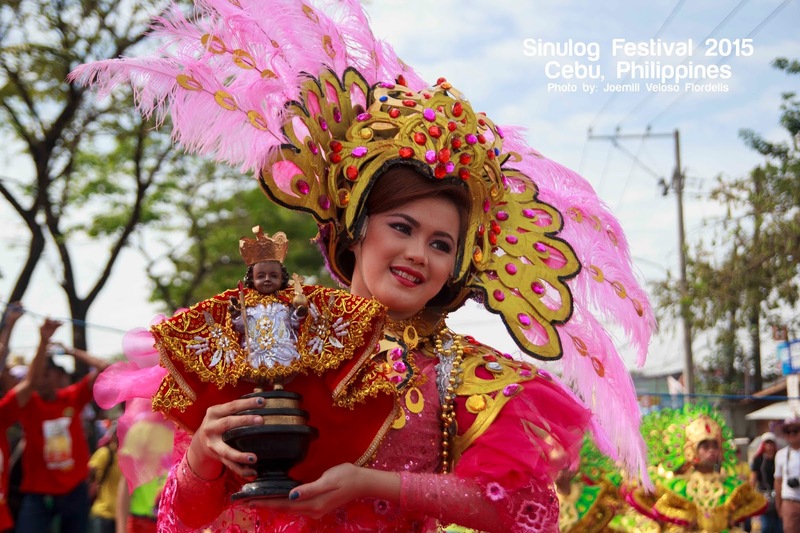 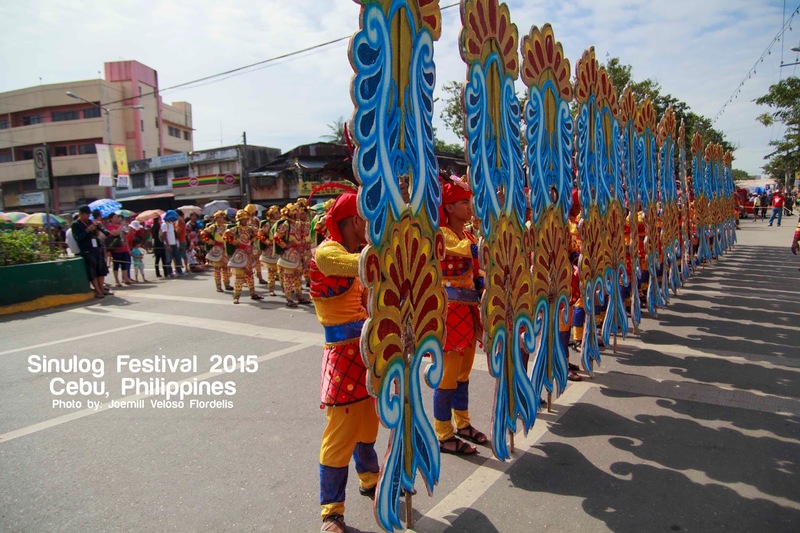 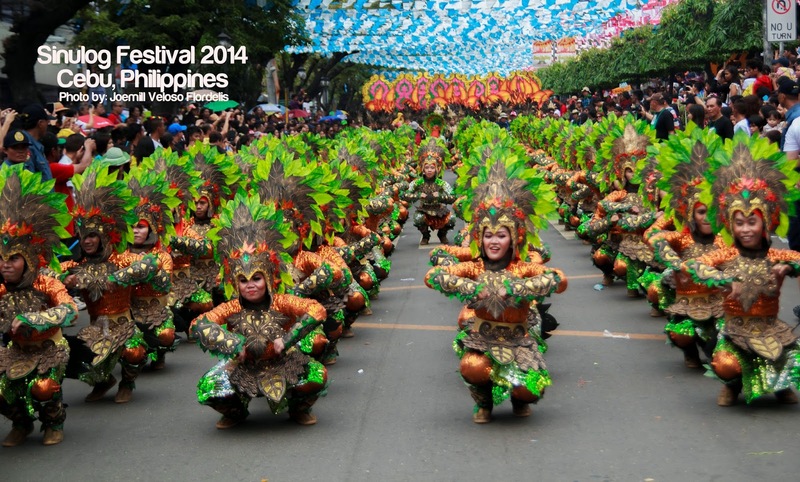 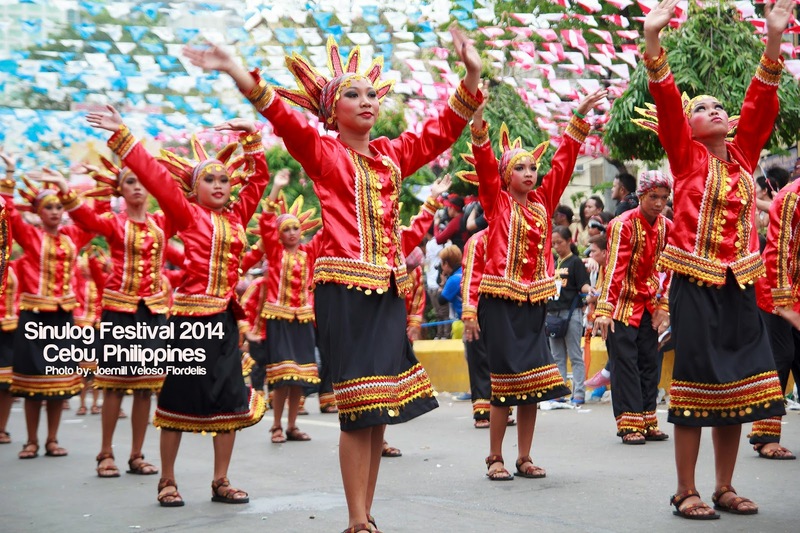 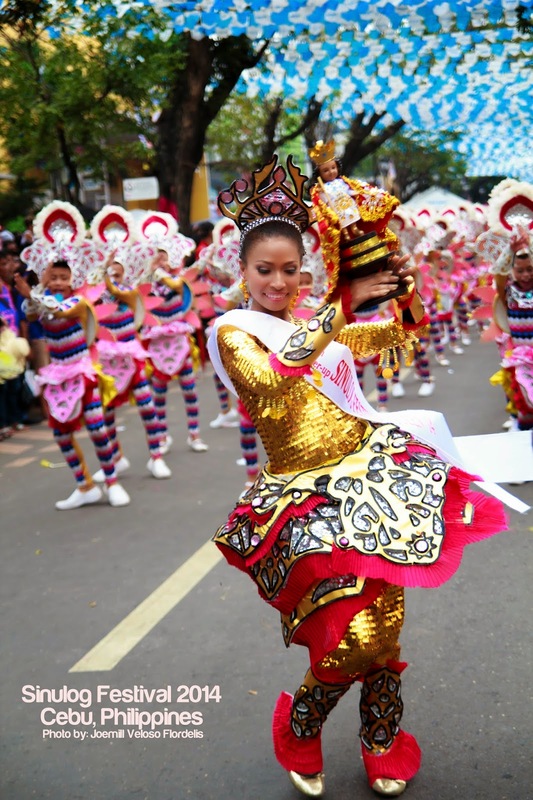 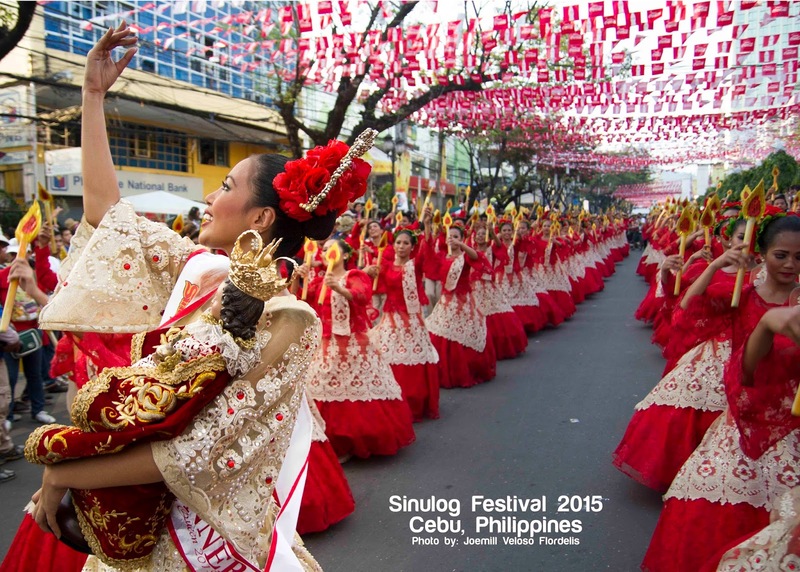 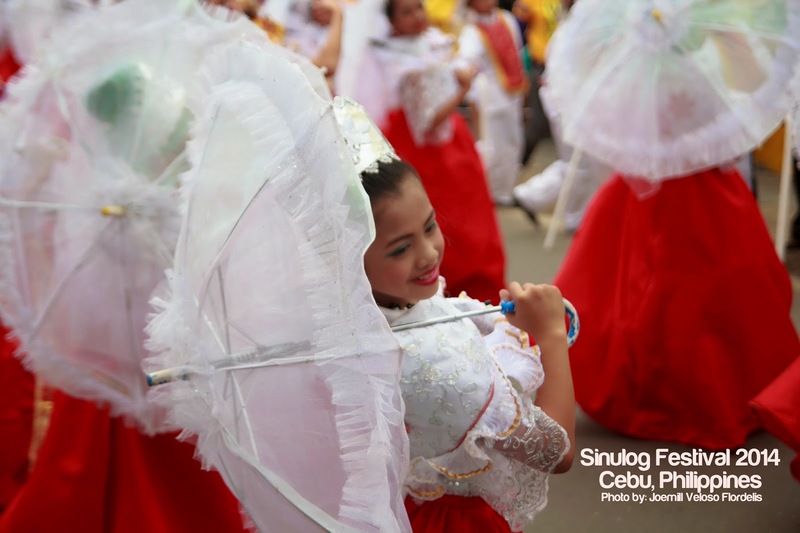 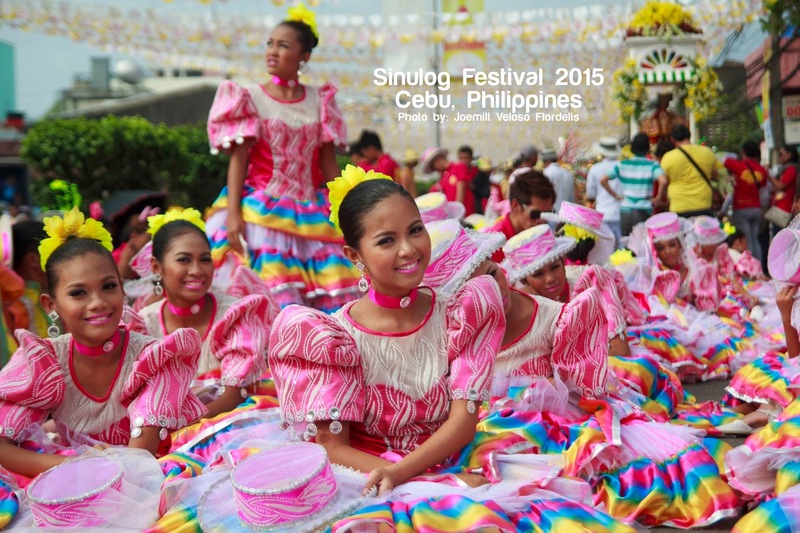 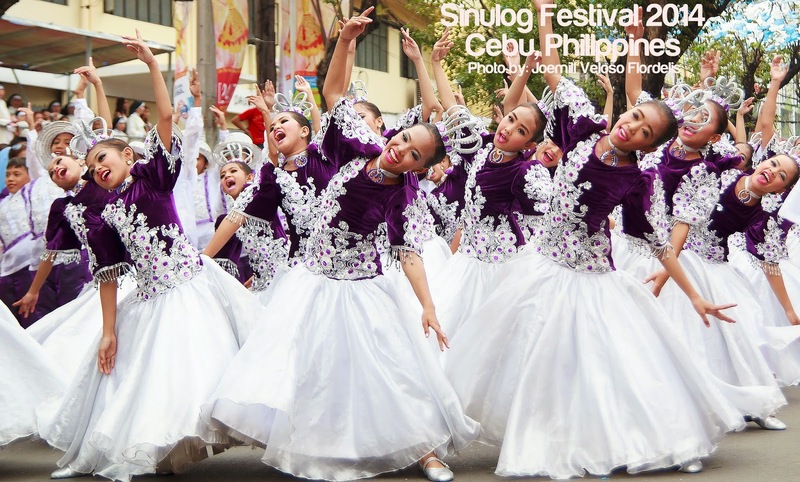 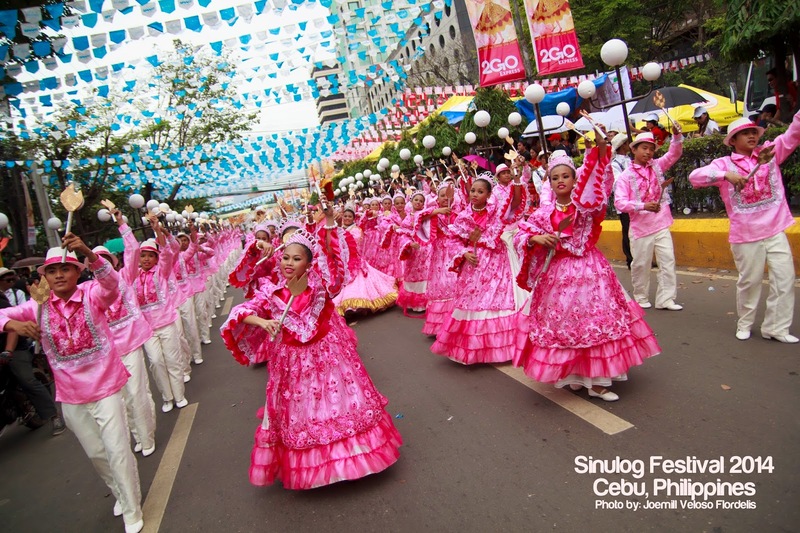 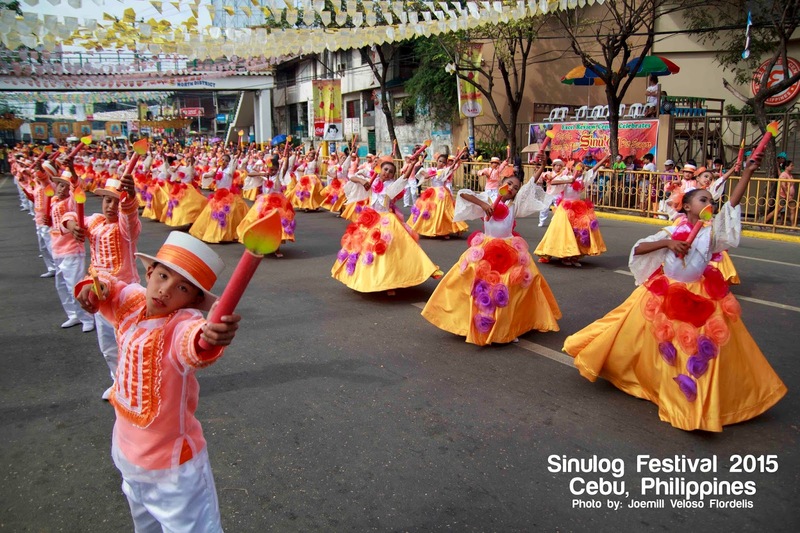 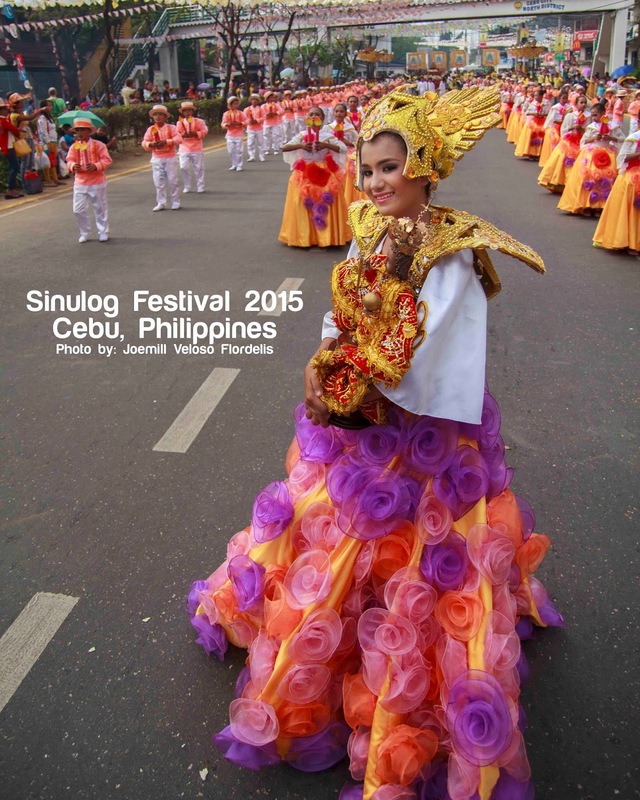 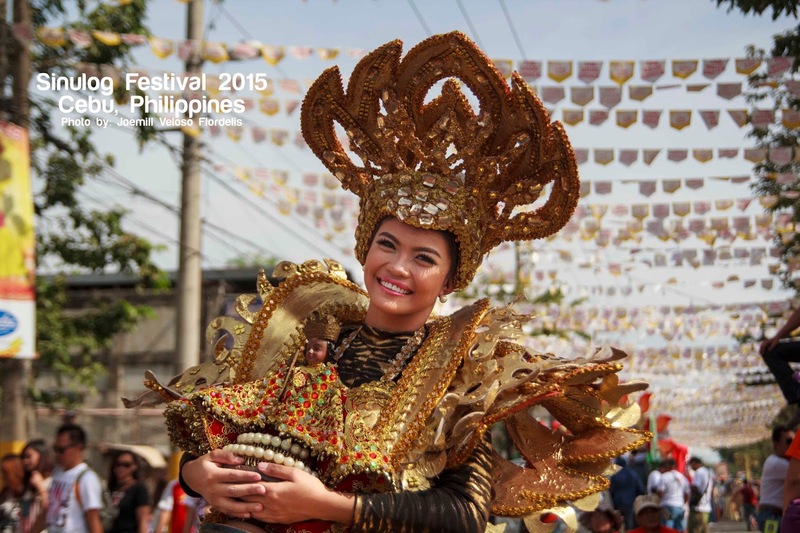 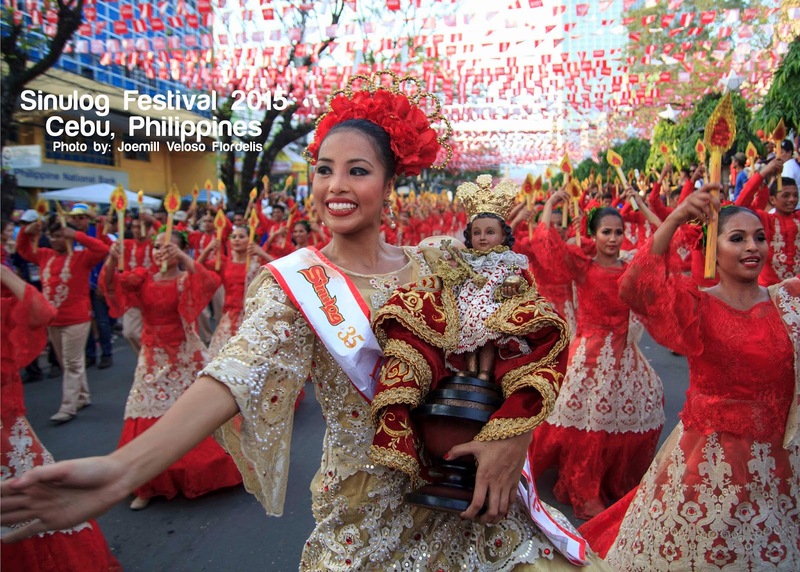 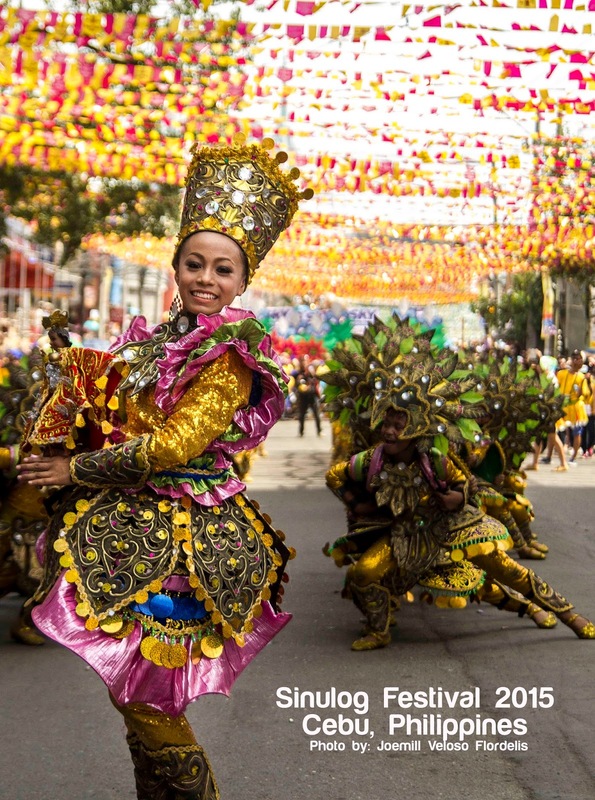 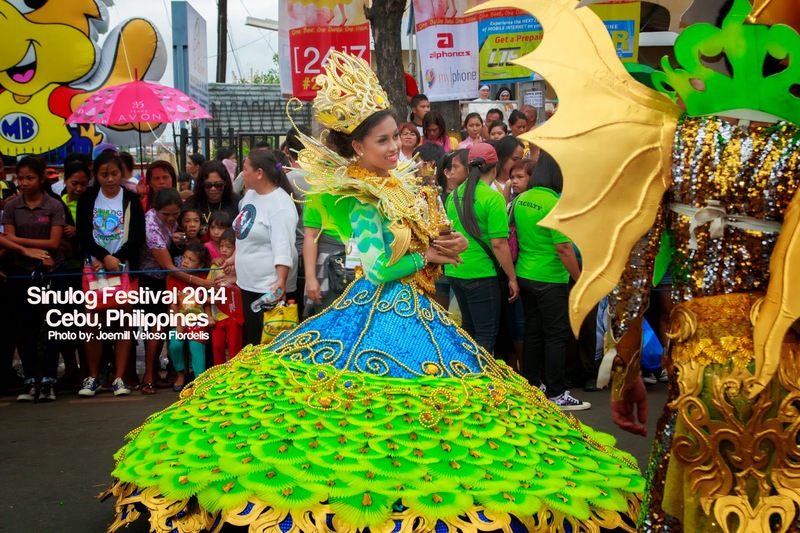 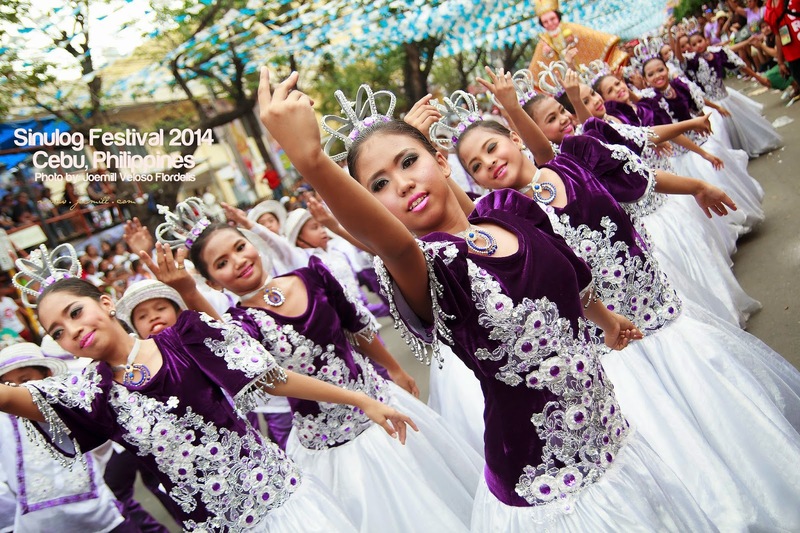 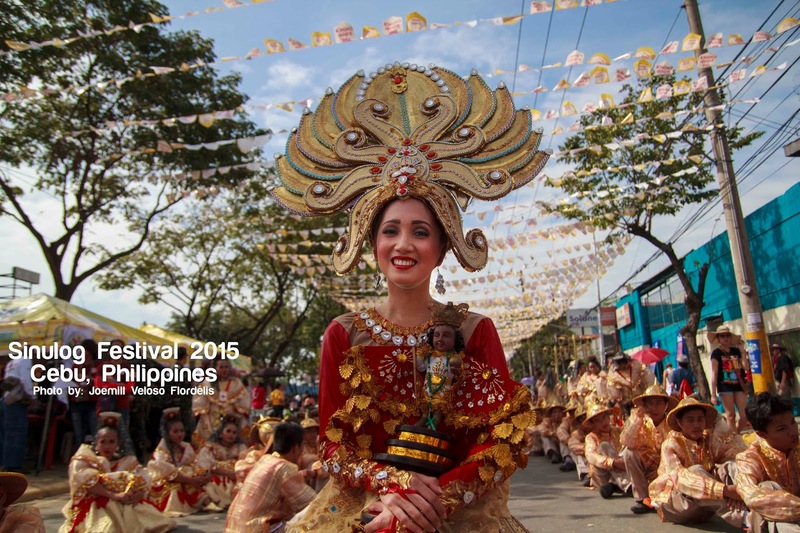 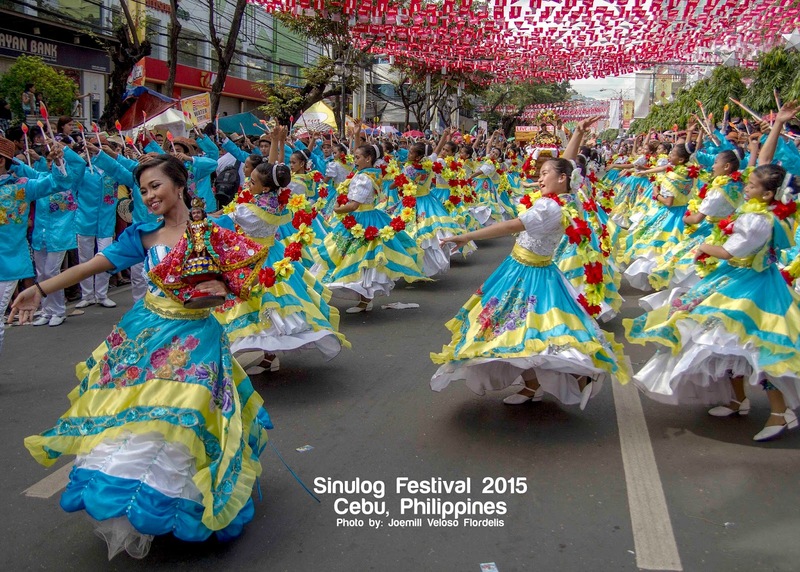 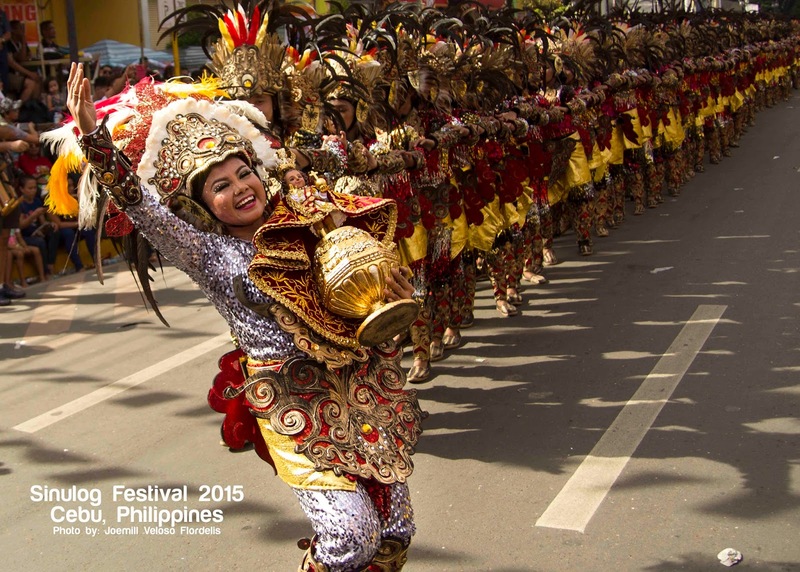 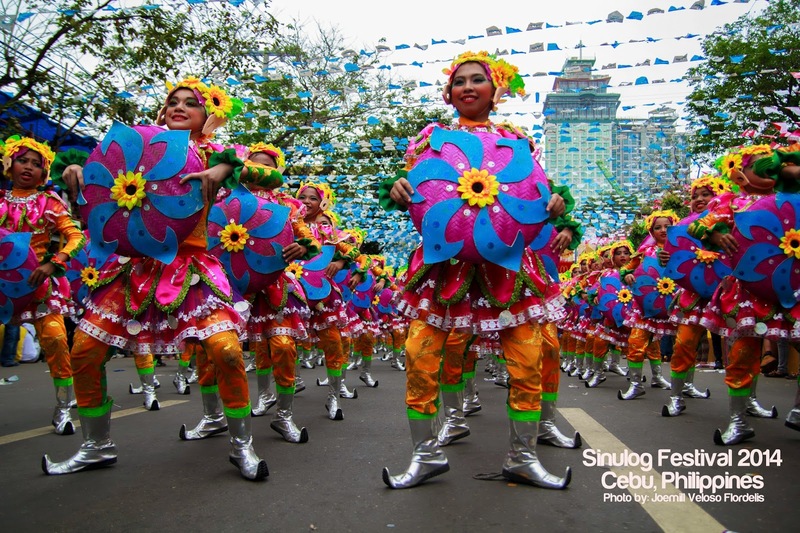 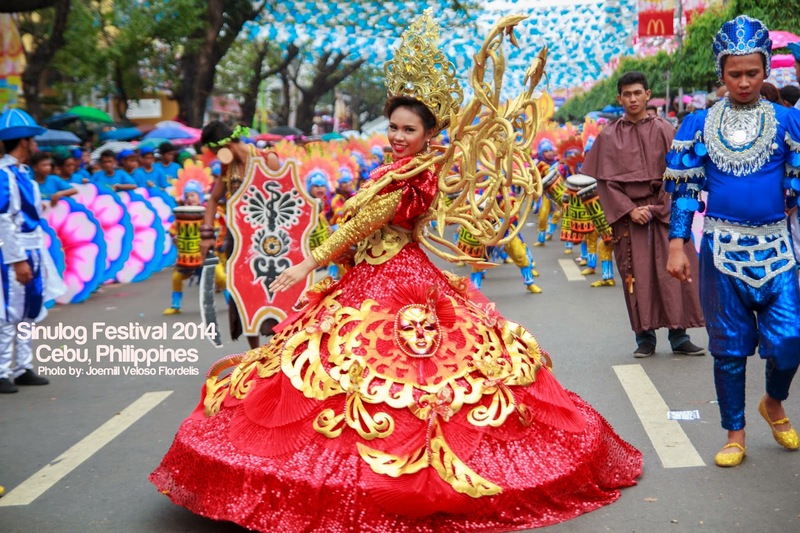 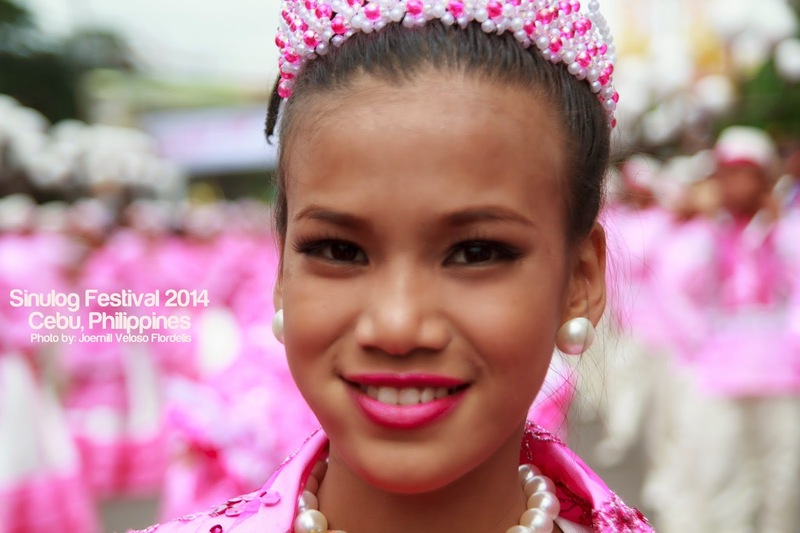 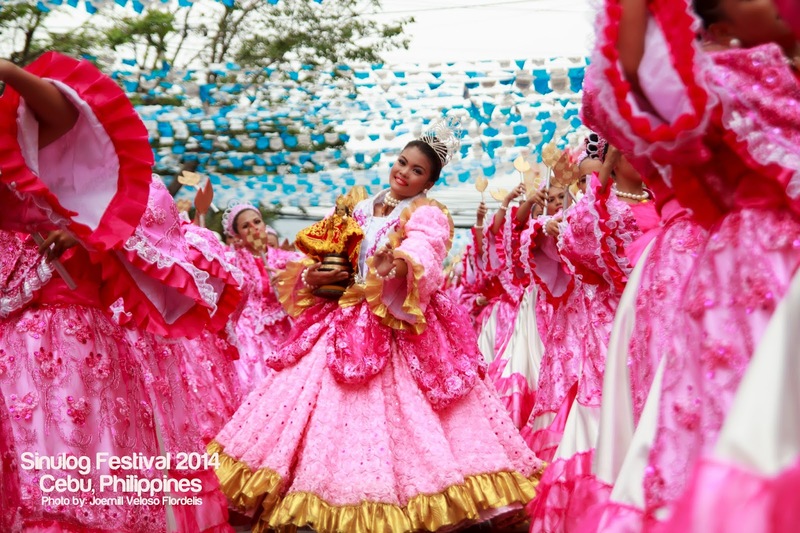 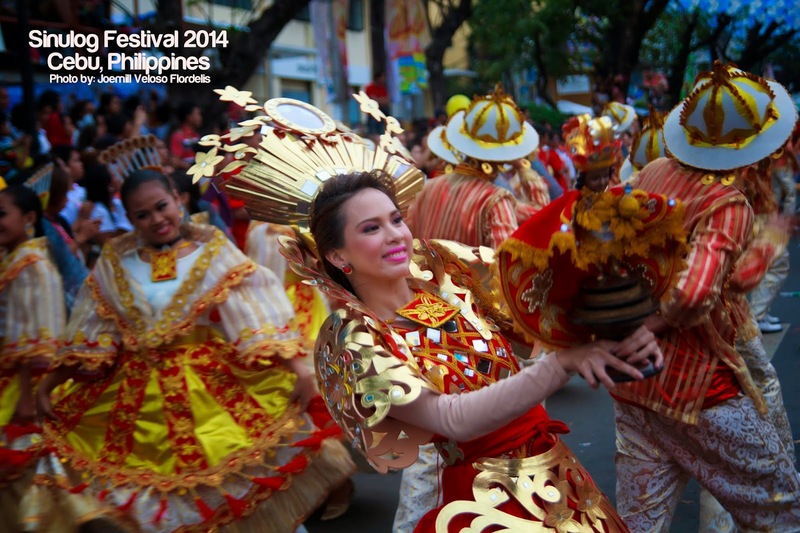 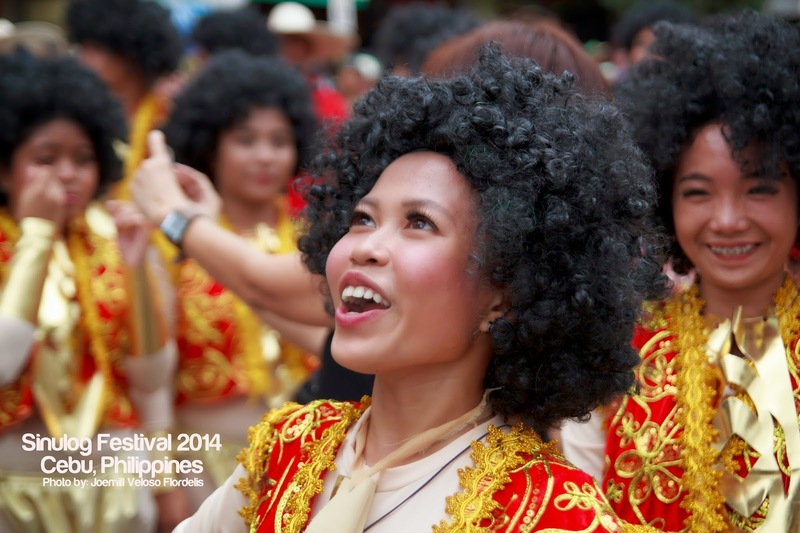 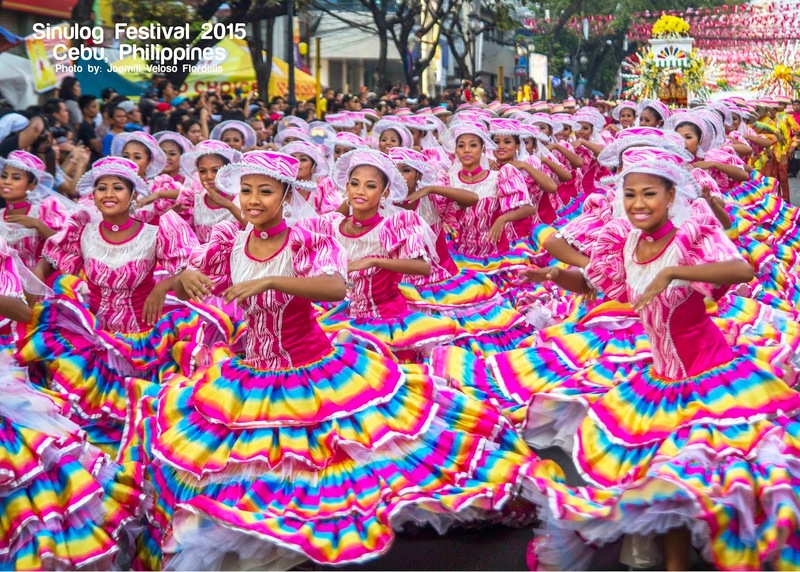 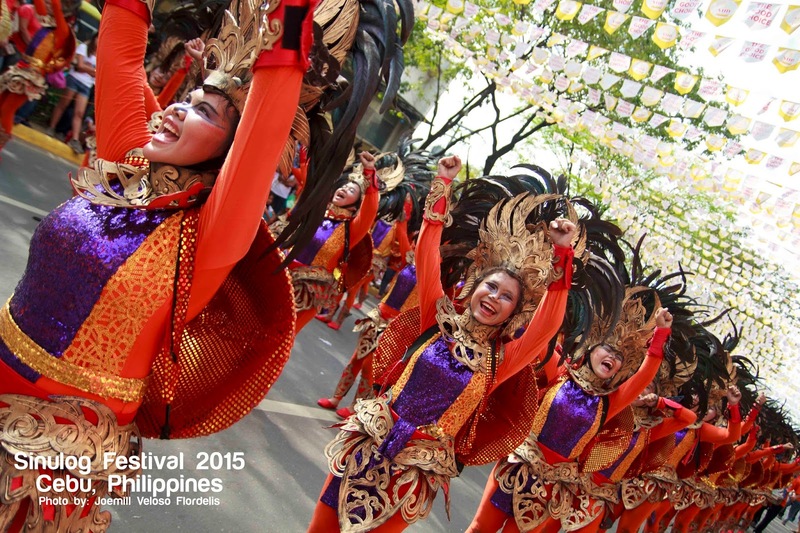 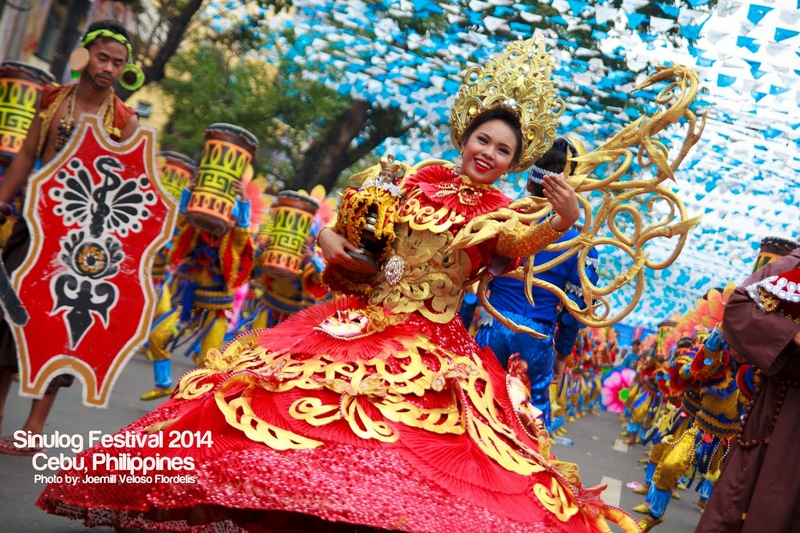 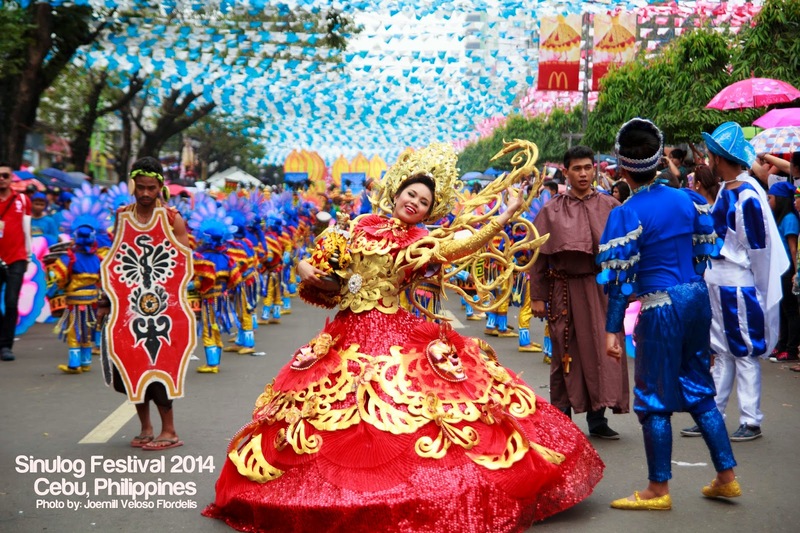 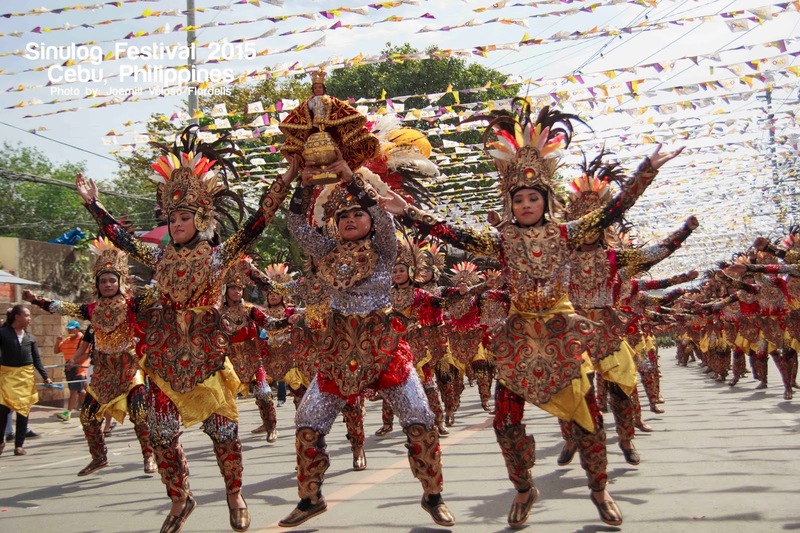 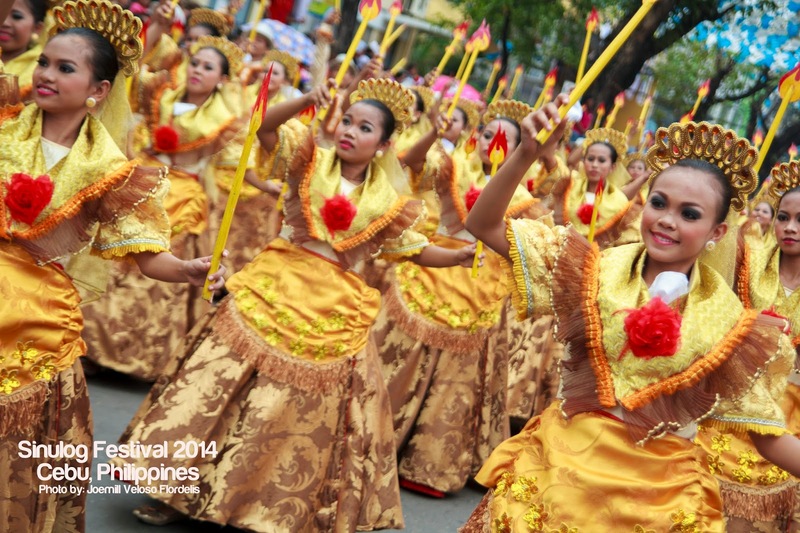 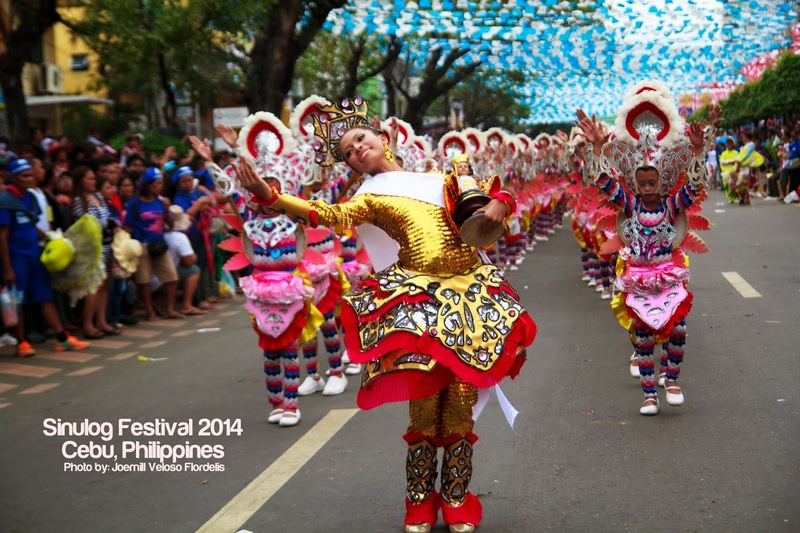 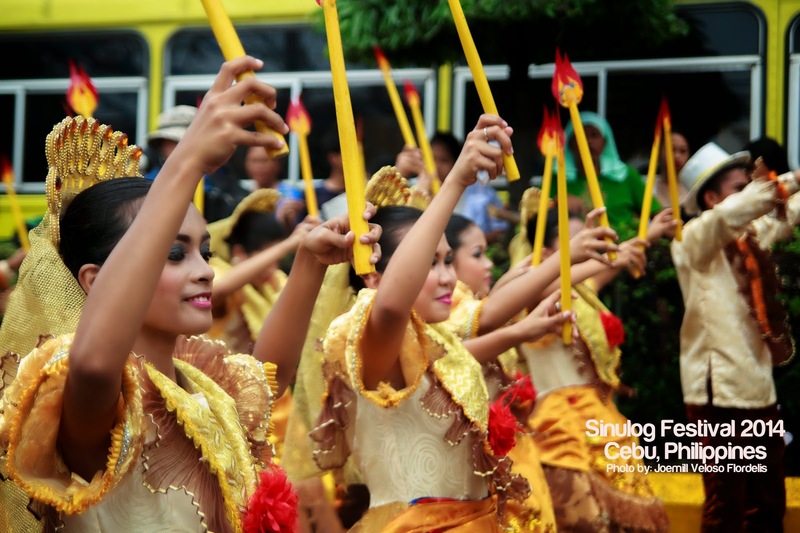 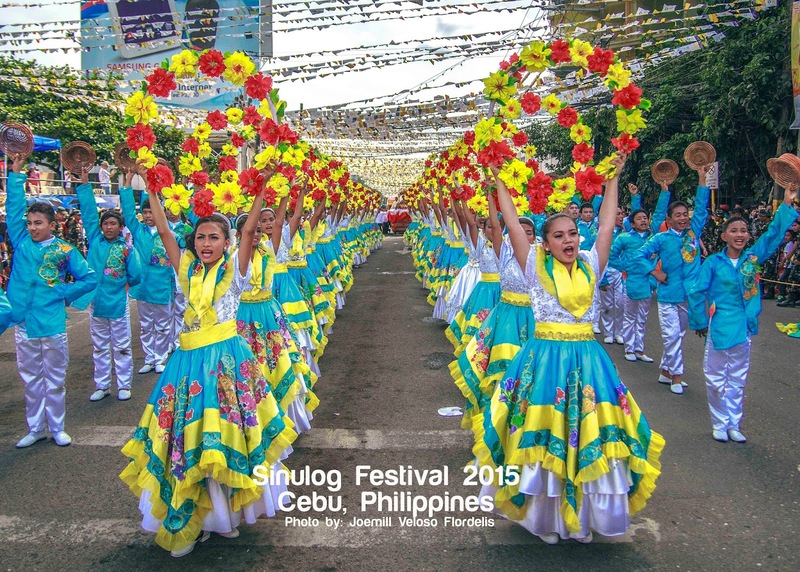 Sinulog Festival is an annual cultural event in Cebu City, which is touted to be the country's biggest and the grandest, and is celebrated every third Sunday of January.